A vision to have more trains run through East Croydon from the south coast to London may not necessarily benefit Brighton and Hove. Network Rail’s strategic planning director for the south, Rupert Walker, spoke about the issue at the Greater Brighton Economic Board on the day that an “Unlocking the Croydon Bottleneck” consultation was announced. Any plans to increase the number of lines going through the station are 12 years away, Mr Walker said at the meeting on Tuesday (15 October). He told council leaders and chief executives how an extensive consultation and planning process had to happen before the restructure could be delivered by 2030. He said: “We need to untangle the lines and build new control systems to make the railway a much smoother service. Mr Walker said that East Croydon was one of the busiest stations in the country, with 1,720 services a week. It has 700 more trains a week than Reading, where thousands of commuters have experienced delays this week. 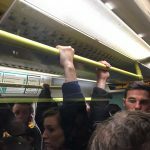 Any disruption in the East Croydon area had a knock-on effect across the entire region, causing delays for commuters from across Sussex, Hampshire and Kent as well as north of London for Thameslink travellers. He said: “We are planning this project to have the least disruption. 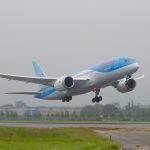 Conservative councillor Geoffrey Theobald, the former opposition leader on Brighton and Hove City Council, expressed his frustration at the timescale when the need for more capacity was so great now. He said: “It is not going to help us. On Saturdays and Sundays we are still going to have no trains but rail replacement buses. 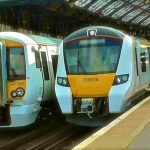 Councillor Theobald wanted Brighton and Hove to have what is needs – more trains going down the line. Mr Walker said that there was no decision on where the extra capacity would be allocated as trains come into East Croydon from across the south. After the meeting Brighton and Hove City Council’s Labour leader Councillor Daniel Yates backed Councillor Theobald. 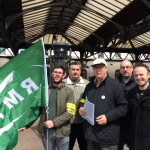 He said: “Geoffrey is right that a second alternative functional rail route would dramatically improve the experience of the many thousands of residents and businesses who rely on the Brighton main line for their livelihood. An online public consultation about the plans starts on Monday 5 November at www.networkrail.co.uk/croydon. Mr Walker was asked for public consultation events on the south coast as currently the only face to face sessions are in Croydon itself. Most current commuters will be retired by the time this train line is fixed. Given the speed of technology and the drive for London companies to reduce their office footprint and more people to work from home I imagine this will be redundant when it’s finally completed. Our office already has many empty desks during the week as more people work remotely. I may not need to come in more than once a week in a few years.